In India, whenever anyone thinks to set up a business with a small investment, mineral water plant comes to mind. Water always remains the most precious substance that a living being needs to stay alive and active. Now, if we think by a young entrepreneur’s mind, then the business has many opportunities. Corporate people and families who give importance to health always drink mineral water and hence looking at the population once can earn enough and take it from small to large scale as well. 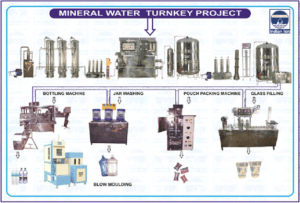 In India, one can establish a mineral water plant setup if with a proper plan and a bit of patience. The installation is one in two ways – evaluating the cost and setting up the plant. By the end, you will have a fair idea of setting up the plant and a good estimate of the cost. * Very first, water is the source of your business, and so there should be enough of it. Consider a land that provides you with enough water such as if there is any bore well nearby. * You can consider TDS as a second factor, and you can move further on purchasing the land if it has a satisfactory level of TDS. * Next, you can establish the water plant on the land that is near to a water resource and has a right amount of TDS. 5,000 sq ft will be pretty good for beginners to get started. * Get a no objection certificate or NOC certificate from the local government of the town so you will not face any real estate issues in future. * Once you get the NOC and an approved building plan for the water plant, it is time to visit the electricity department. * Once all these aspects are ready, it is time to call the civil engineer. 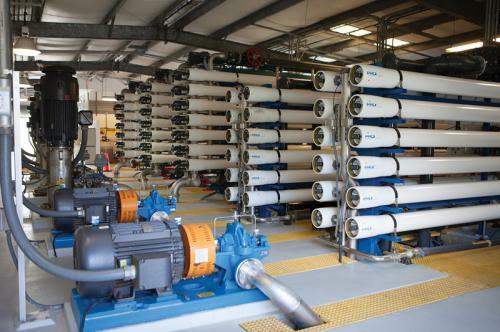 Discuss the mineral water plant project with your RO plant vendor and engineer. Employ the required team such as an engineer, a microbiologist, and other members. * The next few months, you will be handling the construction work. This stage is about opting the building’s structure along with the biological and a chemical lab. * The first aspect is LPH or Liters per Hour, for small-scale business, you may start with 3000 LPH. By the time, when you start getting profit, you may increase the plant’s capacity for 5,000 LPH or more. * Ultraviolet disinfection system, etc. * If you need automatic water filling system or manual. Mineral water plant setup can be a fantastic business strategy in India, and the factors mentioned above will help you with that. Set up depends on your preferences and how small or big filter plant you need. The cost comes later based on the choices you make in the setup part. This entry was posted in Mineral Water Plant Setup and tagged mineral water business, mineral water plant, mineral water plant project, mineral water plant project cost, mineral water plant project report, mineral water plant setup, mineral water project on October 24, 2018 by Bottling India. Ordinarily, mineral water plant project plans are used from its spring assets. It is frequently refers to as the “taking the cure”, or “taking the waters” at the showers, spas, or wells in a portion of the development urban communities. Spa is a spot small the water is ordinarily expended and washed in; shower perceives itself fundamentally with the washing reason, diversion or therapeutics, and well alludes to the water to be consumed. Several of the mineral water plant projects are delivering such quality-evidence water bundles that are adequate health as benefits. How is Mineral Bottled Water Defined? Bottled water refers to water utilized as a part of drinking purposes (for e.g. Refined water, well water, spring water and mineral water) that are packaged in glass and plastic water bottles. Regularly bottled water products are carbonated and at times they are most certainly not. Though, size and state of the jugs can change from little pockets or serving containers to that of the huge carboys which are utilized for water coolers. 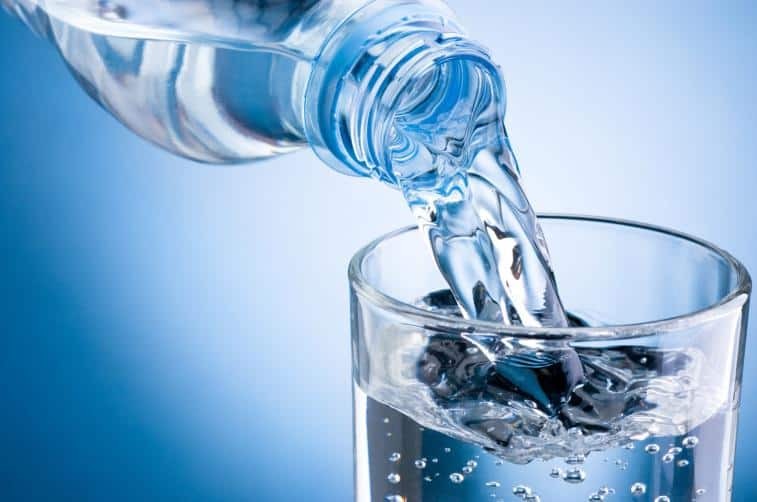 The worldwide deals report of bottled water products have significant expanded over the previous decades and coming to the valuation of about $75 billion for the volume of more than 170,000,000 cubic meters in the year 2012. U.S. Reports came about 40 billion bottled water products in the year 2014, than single drop from the 2015 levels. Though, the utilization rate of bottled water products has extremely expanded 5 times inside 1990 to 2012. Refined tap water, mineral water project and spring products are right now concerned as the main alternative with worldwide vendors. As per a percentage of the most recent explores, it is observed that around 75 million jugs are expended every annum in the USA and around 350 million bottles internationally. As indicated by a few of the looks into, it is observed that mineral products are useful for health as they are extremely protected from the polluting influences introduce in water. Though, it never bolsters the fundamental methodology of securing lives from a few of the maladies however are great with fresh water benefits from mineral water project. Products are higher with concentrations of electrolytes or disintegrated minerals which are thought to be valuable in keeping the dehydration and in addition the supporting health conditions. It adjusts the electrolytes that are found in our body and afterward restores the same with the obliged parity of body water and minerals that get missing from our body. It is also known for some restorative capacities which are additionally referred to ease and also treat diverse other short & long haul conditions, for example, disease, ailment, joint inflammation, joint and muscle irritation, and so on. This entry was posted in Mineral Water Project and tagged mineral water plant project, mineral water project, mineral water project plant, water plant project on August 10, 2018 by Bottling India. The bottled mineral water industry in India has drastically grew over the years. This makes the mineral water business the hottest trend today. 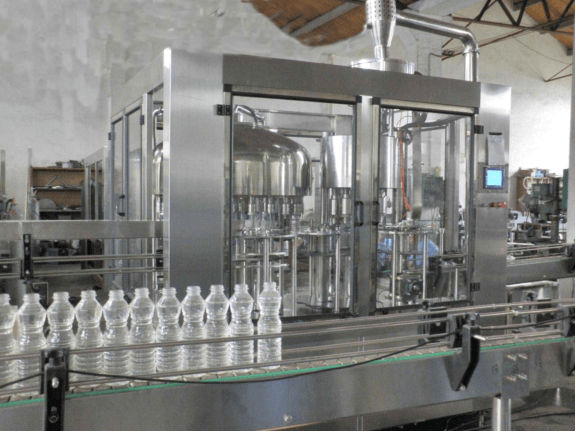 If you are planning to open and run your own mineral water plant, you need to decide whether you will start from scratch or you will look for and buy an existing bottled water company. Are you interested in running your own mineral water plant? If so, then you also need to decide whether you will start from scratch or you will look for and buy an existing bottled water company. Before making the final decision, it makes sense to do some research first regarding these two options. You can consult some manufacturers in India like Indian Ion Exchange & Chemicals Limited that offers water purification plants, R.O. plants, water treatments, and mineral water plants to know more information about opening and running a water plant. Let us say you have decided to buy an existing water plant, here are a few important things that you need to consider. First and foremost, you need to check the location. The water plant must be situated in an area where there is a high demand for bottled drinking water. For instance, the area with limited access to clean water can be considered as a suitable place for any mineral water company. Since access to clean water is quite limited, there will likely be a steady demand for bottled drinking water in such area. Also, make sure that the area is easily accessible and is suitable for such kind of business. It has to be situated far from areas like the waste disposal site or cemetery. The reputation of the drinking water plant or the company also matters. It is important that you know what the public feel and think about the company you are going to purchase. If most of the public’s feedbacks are negative, it is better not to pursue with the deal unless otherwise, you are willing to spend a considerable amount of money in establishing a new management or organizational structure and on re-branding. You will be running a business with water as the primary raw material. It is only fair enough to know where the water is coming from. Regardless of whether the water is coming from a local supplier or from the borehole in the water plant created by the previous plant owner, you need to make sure that it is safe and clean enough for production. You should perform your own water analysis to make sure of the quality of the water supply. Aside from that, the plant should have a good treatment facility which you can use to treat and clean the water before it goes to the production facility. You can not run a mineral water project without the required licenses and approval from the local government. Make sure that the company has all the necessary licenses and government approval. When it comes to starting a new water plant or buying an existing bottling water plant or company, the cost is always a huge factor. Before you decide whether to start from scratch or to buy an old plant, try to perform a feasibility study first. 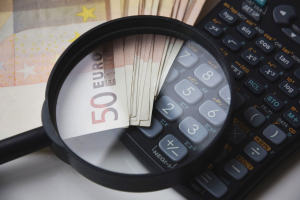 You need to highlight important things like competition, ROI, cost-effectiveness, profitability, and current market cost of the existing plant and the available equipment and facilities, to name a few. Surely, you do not want to invest a lot of money on a business that won’t allow you to earn something back or even to get your return on investment. 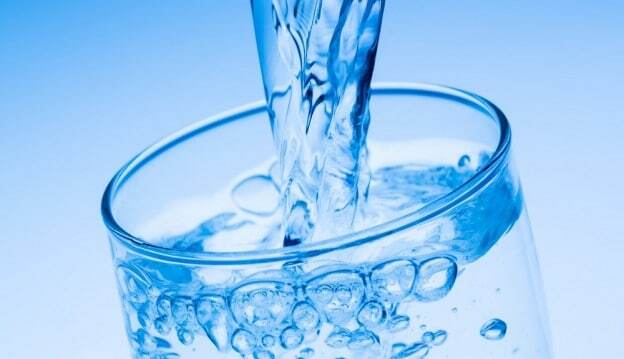 This entry was posted in Mineral Water Plant and tagged bottling water plant, drinking water plant, indian ion exchange, mineral water plant, mineral water plant cost, mineral water plant for sale, mineral water plant price, mineral water plant setup cost, mineral water project on February 15, 2018 by Bottling India. 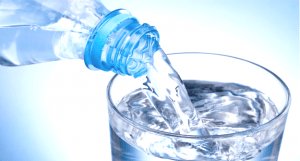 Why Should You Drink Only Packaged Drinking Water In India? We need water for survival. However, how can we be able to survive if the water we drink every day is contaminated with all kinds of pollution including the extremely harmful arsenic? Here are a few tips that can help you stay healthy and avoid getting sick because of drinking dirty tap water. Water is one of the most important elements on earth. As they say, water is life. A few decades ago, water is not as expensive and as unhealthy as today. Unlike the old days, we can no longer take a glass of tap water straight from a public faucet today and drink it directly without worrying about getting infected with some water-borne diseases like Dysentery, Cholera, Typhoid, and Guinea worm disease. 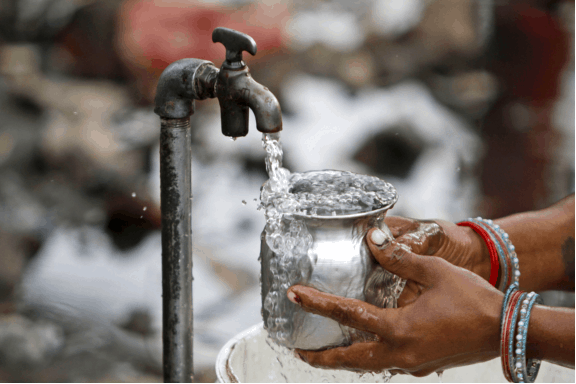 Unfortunately, the tap water in India is no longer safe to drink. In order to stay healthy and to avoid getting sick due to consumption of dirty tap water, I highly recommend that you take below tips seriously. Avoid ice in drinks unless otherwise, you are the one who made it. Do not just buy ice from the local store and add it directly to your drinks. Most often than not, the ice is made from unsanitary tap water. Always remember that not all viruses and bacteria can be killed by keeping the water at the freezing temperature. If you add a contaminated ice, your beverage can also be contaminated. 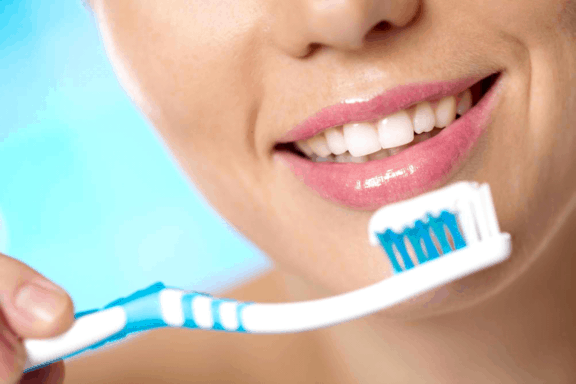 The gums can be one of the direct, quickest, and easiest paths that the bacteria and viruses can take to get into your bloodstream. Since the tap water in India is not hundred percent free from pollutants and bacteria, it is best to avoid using it when brushing your teeth. This may sound a bit odd (and expensive too) but it is better to spend a few Indian Rupee for the bottled mineral water than to spend thousands for hospitalization and medication. Water and tea are not the only thirst quencher in India. You can try other beverages like fresh coconut water and bottled fruit juices. There is nothing that can beat the refreshing effects of a fresh, sweet chai tea. 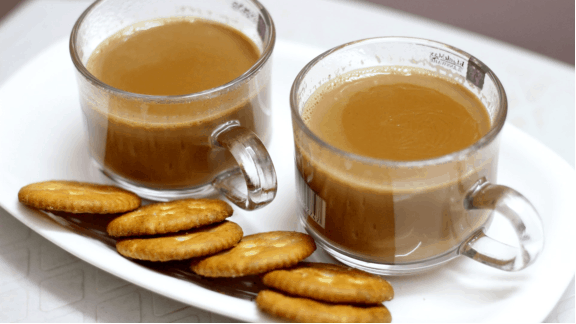 Chai is a popular Indian tea. Its main ingredients are sugar, Ayurvedic spices like ginger and cardamom, and lots of milk. 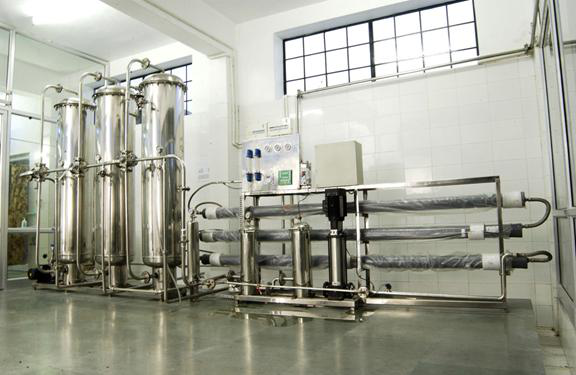 The packaged drinking water industry in India is continuously growing. As the packaged drinking water plant cost gets more affordable and as the demand continues to increase day after day, more and more local businessmen are encouraged to open their own water plant and jump into the arena of producing safe drinking water. As an evidence, you can see many water refilling stations and mineral water plants in almost all corners in Indias. However, not because you bought the drinking water from a water refilling station you will just automatically conclude that it is safe from impurities. Mineral water plants and stations are not created equal. Some companies employ the highest standards with their filtration process while others do not have the best equipment for the filtration process. And this gives a huge difference when it comes to the product they produce. You can basically find various brands of mineral water in India. When buying a bottled mineral drinking water, make it sure that you know where it came from and if the company is reliable. If possible, pick the one that is produced by giant companies as they tend to have more rigid safety standards as compared to unknown brands. This entry was posted in blog and tagged bottled water plant, bottling water plant, drinking water plant, mineral water plant, mineral water plant project cost, mineral water project, packaged drinking water plant, ro plant cost on October 13, 2017 by Bottling India.